New York, 3rd February 2011 - More than 400 teachers from the New York tri-state area attended a special “Open House” at New York Hall of Science (NYSCI) today, to enjoy a private viewing of the 1001 Inventions exhibition, which invited them to “Discover The Golden Age of Muslim Civilization”. Educators from New York city and even further afield braved the snow and ice, which has encumbered the US Eastern seaboard for more than a month, to visit the recently-opened blockbuster exhibition at New York’s leading interactive science centre. 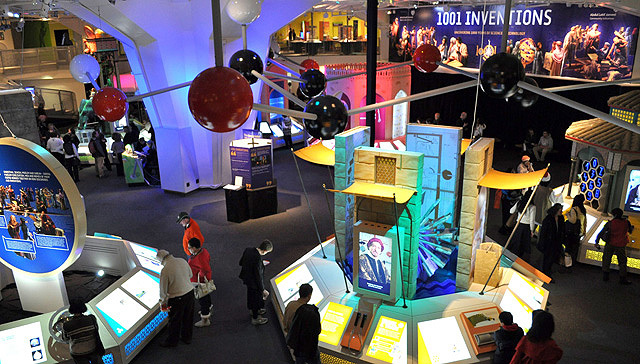 The exhibition’s residency at NYSCI marks the US premiere of the 1001 Inventions initiative. Visitors were introduced to the “Golden Age” of Muslim civilization with a special screening of the award-winning educational film, 1001 Inventions and The Library of Secrets, starring Oscar-winning actor Ben Kingsley. Following which, school teachers were invited to explore the 10,000 square foot exhibition which is divided into seven zones representing different areas of science and invention. 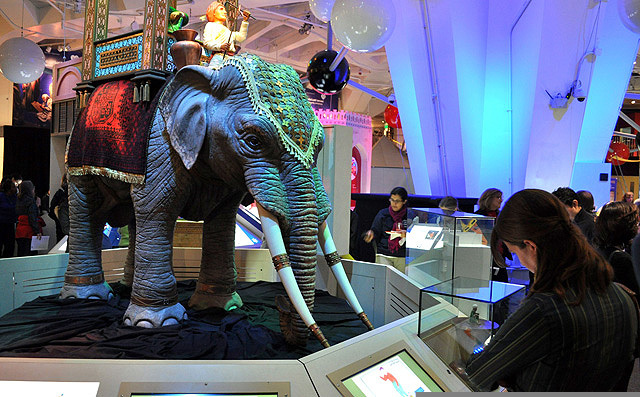 Prior to its arrival in the United States, the 1001 Inventions exhibition attracted record numbers of visitors during its residencies at the London Science Museum and Istanbul’s Sultan Ahmed Square, with a combined audience of more than 1 million people experiencing the blockbuster installation during it’s time in Europe. Further details about 1001 Inventions can be found here.